Crocs shoes are under the spotlight amid safety concerns for nurses wearing them on duty. The renowned easy to clean and comfortable rubber shoes have been banned in Welsh hospitals amid fears they fail to protect againstsharp objects. 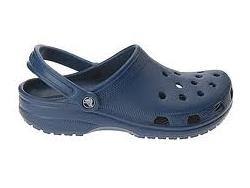 The ban on Crocs comes after reports of several incidents of sharp objects piercing the soles of the shoes and follows similar bans at hospitals in the United States, Canada, Sweden and Austria due to safety concerns. Australia’s health services and networks all have different uniform policies and an Australian Nursing Federation spokesperson said it was up to employers to set the safety standard in footwear. St Vincents and Mater Health Sydney prohibits Crocs across all areas of the organisation. A spokesperson for the organisation said staff must wear fully-enclosed shoes with a non-slip sole in all patient care areas. “It is most important for nurses to wear appropriate closed in shoes to protect them from sharps, trips, slips, fatigue, falling objects and for effective manual handling,” he said. A spokesperson for Melbourne’s Epworth HealthCare said while nurses on its wards do not wear Crocs, some doctors and nurses in its theatres do wear them. The spokeswoman said independent laboratory research, commissioned by the United Kingdom Health and Safety Executive, found Crocs present a “high risk” of slipping on wet and hard floor surfaces. Epworth’s Slips, Trips and Falls working party found Crocs were more slippery in the potentially moist environment of procedural areas than more conventional forms of surgical footwear, she said. “We want our employed staff to move to footwear that is more suitable and our efforts will be greatly assisted if our surgeons and anaesthetists can do likewise,” she said.